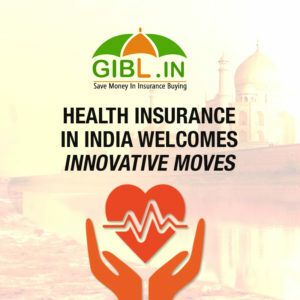 Health Insurance in India is going to witness some revolutionary changes shortly. The Insurance Regulatory and Development Authority of India or IRDAI has recently come up with a new set of health Insurance regulations and has decided to dispense with the existing rules that came into effect in 2013. There are six new regulations and all of them promise a rise in the demand of health insurance in India as they are put together in both insurers' and policyholders' best interests. Let's have an in-depth analysis of these 6 new regulations. IRDAI gave green signal to combi plans way back in 2009 but the guidelines were different then. Only Pure Term Life plans by Life Insurance companies were allowed to merge with Health Insurance plan on offer at non life companies. But the revised regulation allows for amalgamation of any life and health plan. Consequently a new policy has made its appearance in the market which is a combination of life and health policy. The name of the product is Star First Combi Plans and it is the outcome of the collaboration between Star Health and India's First Life Insurance company. Surely, this insurance product is made in the best interest of policyholders as it is way easier to serve both their purposes by maintaining a single policy. Here is a list of features of this one-of-a-kind plan. Health cover of the plan comes with is lifetime renewal option. Renewal of the life cover can be done in every 5 years up to the age of 60 years. A present, only indemnity health insurance plans facilitate policyholders with cumulative bonus. The bonus increases by at least 5% per year and policyholders can accumulate it for a maximum of 10 years. However, defined benefit policies so far don't offer any such cumulative bonus. But, from now on all plans with fixed benefit like critical illness plans will come with this advantageous feature for policyholders. The new regulation states that the the availability of cumulative bonus will be mentioned explicitly in the policy document as well as in the prospectus. The benefit that policyholders will enjoy is increased Sum Insured to cope up with high medical expenses without having to pay significantly higher premium. Although, policyholders are already rewarded for availing health cover at an early age and for continuous renewals, the new guideline emphasizes on providing incentive to health insurance policyholders with wellness and preventive habits. According to the revised regulation, the incentive scheme or the wellness benefit will be mentioned in the policy document upfront to promote aware among insured people when it comes to monitoring and improving their health. The health insurance provider, on the other hand, will reward their customers with discounted premium upon recognizing the improvement. The wellness benefit will also be available in the form of discount on pharmaceuticals or diagnostic or consultation services offered by providers in the network of the health insurer. For the first time ever, health insurance providers will launch pilot products. IRDAI has allowed for introduction of new insurance plans for five years to begin with. The pilot products will come with one year of policy tenure. After the stipulated five years, health or general insurers can either withdraw the products or consider them as a regular one as other mainstream health insurance plans. But, what will happen to those policyholders that would avail the pilot product if the insurers decide against turning pilot products into regular plans? Policyholders can rest assured that even if their insurer chose not to continue the pilot product they can port that to any existing health plan offered by the insurer in question. Hence IRDAI has created a win-win situation for both the insured and insurer. While insured people can enjoy the benefits accumulated from the pilot product continuously through seamless portability, insurer can assess the market demand by experimenting with some new and unconventional health insurance plans in India. The whole purpose behind giving pilot products green light is to have hitherto unprotected risks covered. Hopefully, the introduction of pilot health covers will justify the intent of IRDAI behind making this new and innovative move. Life insurers, according to the new regulation will not sell indemnity products anymore. The policy of all the existing policyholders, however, will continue. To facilitate them with seamless claim processing and servicing, life insurers now have to put together sufficient reserves to meet their liabilities towards their customers. Single premium health insurance policies are also being removed from the gamut of life insurers' offerings. The indemnity product are essentially those that indemnify policyholders by reimbursing the actually incurred hospital expenses. As per the revised regulation, only general and health insurance companies in India can now offer those products. However, when it comes to fixed benefit plans like critical illness plans, life insurers are still allowed to sell them. In the new regulation, IRDAI has empowered all life, general and health insurance companies in India to come up with their own proposal form. Insurers can mention their own set of declarations in the proposal form as well. However, the regulation strictly prohibits consent of prospective buyers when it comes to share information with third parties both implicitly and explicitly. Innovation is the word that sums up the new regulations by IRDAI. Launching of pilot products and factoring wellness management initiatives of policyholders in working out the health insurance premium are well and truly ground-breaking moves in India's health insurance industry. The new regulation came into existence as a consequence of several different issues presented to IRDAI by various insurers and also with a view to update the existing regulation. Hopefully, the penetration of health insurance in India will increase with these new set of innovative changes.